As a pharmacist, I speak to a lot of different people on a daily basis. On a consult, when discussing wellness, I sometimes hear, “Well, I don’t really cook very well.” Usually, they are being modest, but once I was told, “No, really, I don’t cook very well – the fire department was called when I tried boiling water!” So then comes the challenge as to what to recommend to someone who doesn’t cook, or doesn’t have the space to cook a healthy meal. 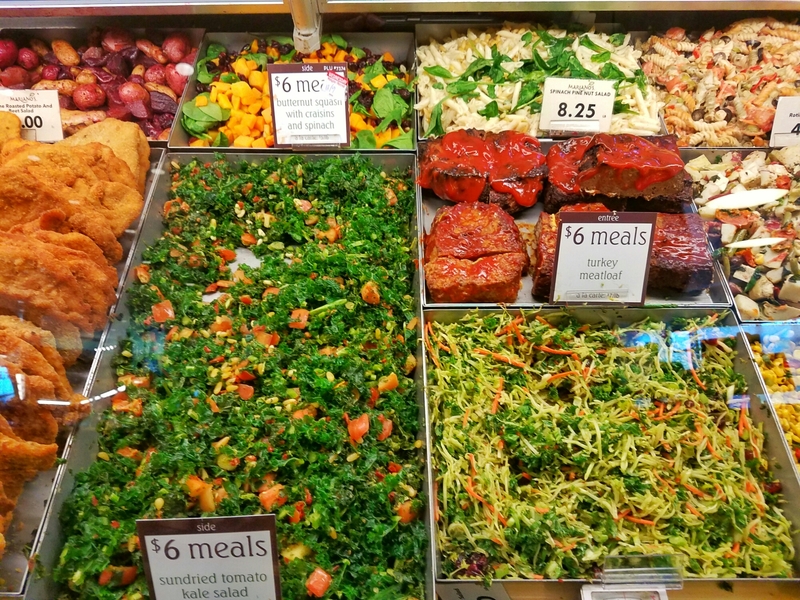 Luckily, there are stores that offer both salad and hot bars. You can choose from a variety of salads, vegetables and fruits for side dishes. Some places may offer a deal for a main entrée with two sides for a flat price. 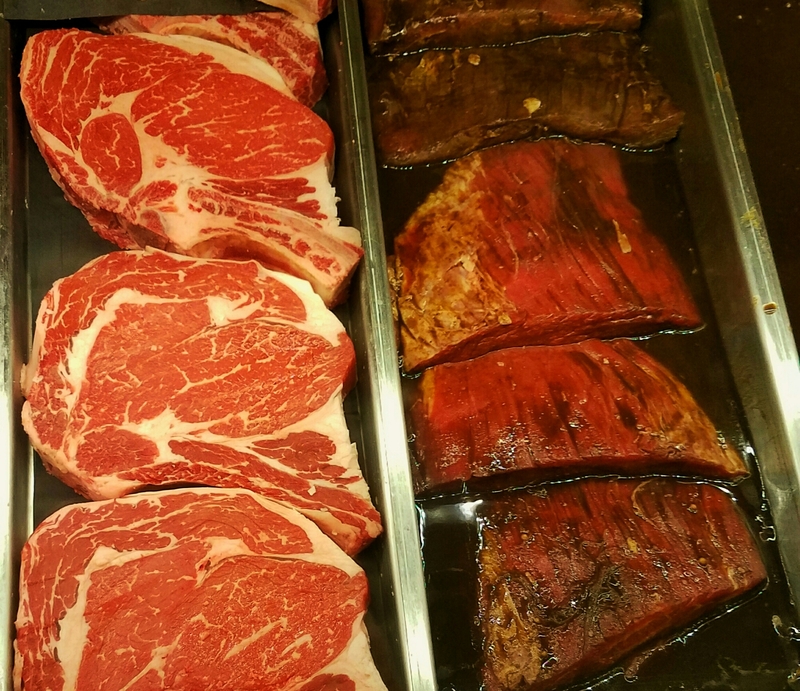 If you are really lucky, after choosing your protein (ie beef, chicken pork or fish) at the meat counter, the store will also flavor and grill the meat for you for no charge. 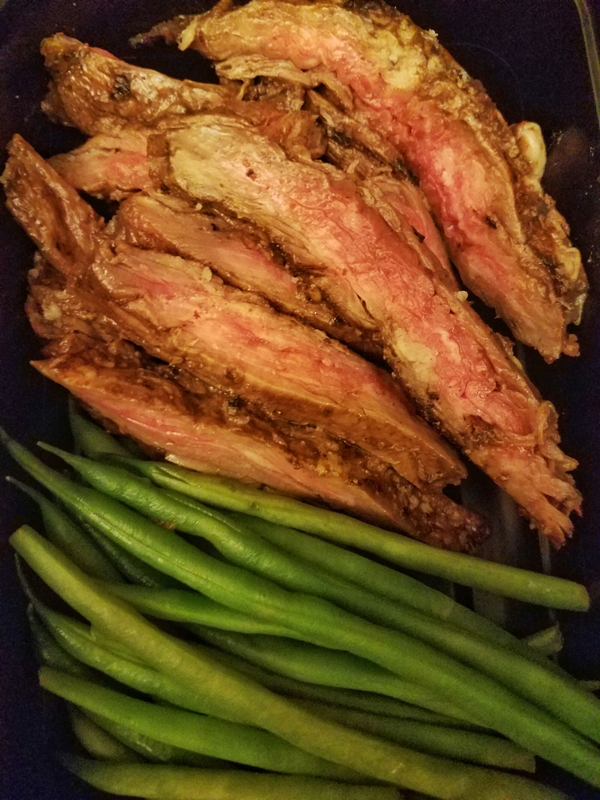 For me I had chosen a marinated skirt steak that I plan to cook just under the temperature I usually get. My thought is, when this gets reheated, it will be cooked to the temperature that I like without over cooking it. For example, if you like your steak cooked to medium, ask them to cook it medium rare. That way when it is re-heated and done, it turns out being medium to medium well. Just be sure to take it straight home and not let it sit out too long. 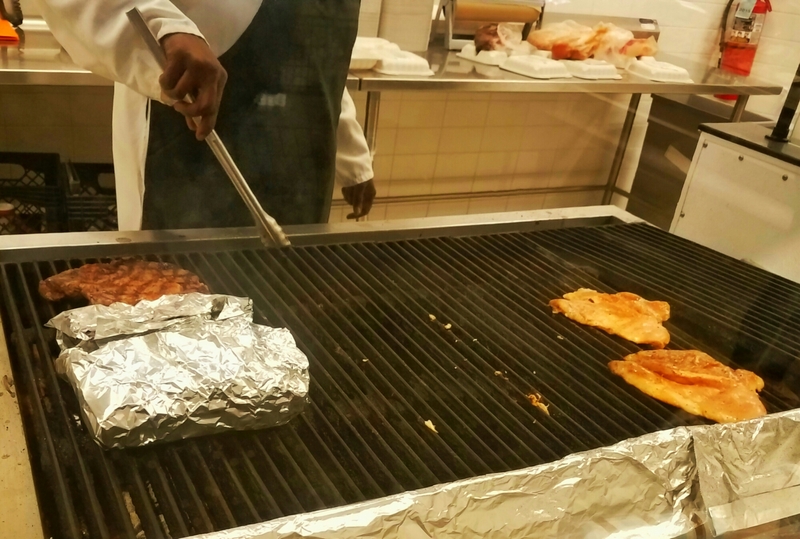 If your store does not have a grill, no need to worry. 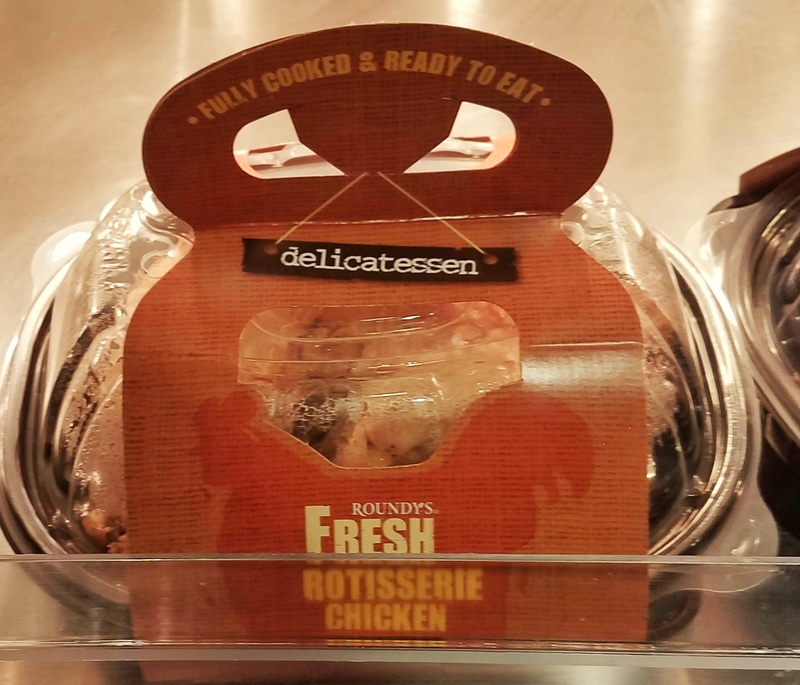 Next to the deli, a lot of places offer hot items such as meat loaf or rotisserie chicken. 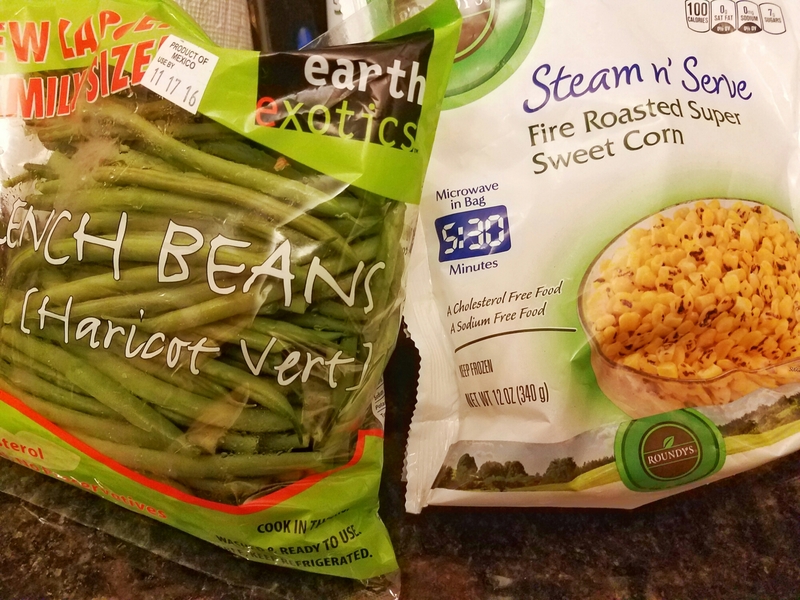 If you are okay with using a microwave, a lot of the frozen vegetables are able to be steamed in the bag. There are even some fresh produce that are pre-cleaned and trimmed that can also be steamed in the microwave or roasted in the oven. I decided to have steamed green beans as my side. When you are done shopping and bring everything home, you can divide everything up in containers for the week. What is so great about this is taking care of groceries and your meals in one trip, and in less time! I hope that you had found this helpful & have a great week!